We are delighted to be part of this truly amazing event; the Kent Country Show has been held in Kent since 1923, and now attracts between 80,000 and 100,000 visitors per year. Open from 9am to 6pm every day, the Show is a wonderful day out with plenty of displays, entertainment and local food. With a wide variety of over 400 exhibitors and trade stands and over 300 competitions, activities and displays across the whole County Show. This year, Love Fairs will be running the large Antiques and Vintage Village section of the show, which will feature lots of amazing exhibitors as well as some great vintage entertainment. Click here to see the great line-up. What is the Kent County Show? 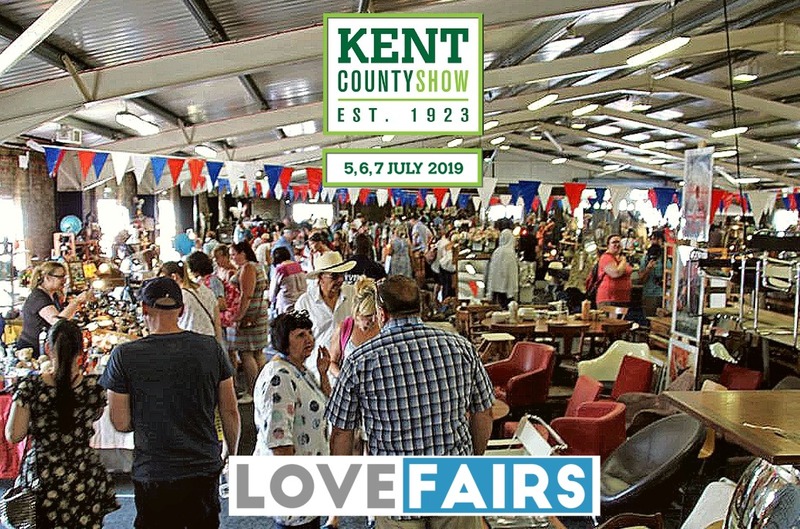 Kent’s largest county show featuring an amazing array of attractions, held at the Kent County Showground in Detling, Kent and takes place on Friday 5th, Saturday 6th and Sunday 7th July 2019 – open 9.00am to 6.00pm each day. What else will be there? Apart from the Antiques and Vintage Village, the many attractions will include;a flying display from a Spitfire, vintage vehicles, music and dance, livestock shows, food and drink, vintage funfair,Morris dancers, show jumping, flowers and garden shows, a cookery theatre and much, much more. For much more information, please click here to visit the show’s offical website. What is the Antiques and Vintage Village? 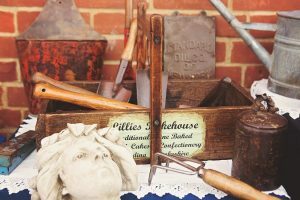 Located in the large John Hendry Pavilion between the 2 main show rings,lots of fantastic exhibitors will be selling their unique and unusual items to visitors. The pitches are mostly indoors, with a small number outdoors and we will also be arranging a variety of great vintage entertainment to help to keep everyone entertained! Find out more about the Kent County Show, and buy your ticket! We'll keep you up to date with the latest fair news. We will use your data from this form to send your email updates about our fairs. You are able to unsubscribe at any time.